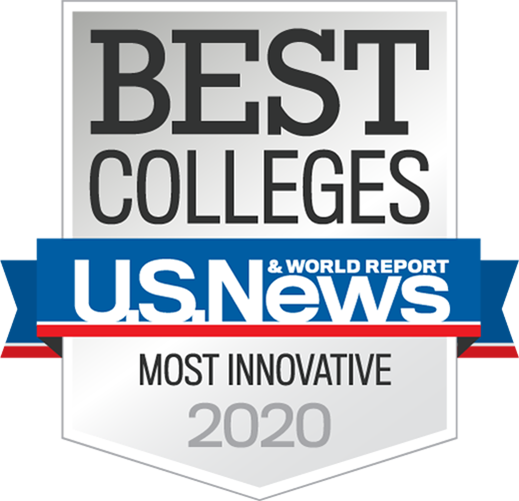 U.S. News & World Report releases its prestigious annual list of the “Best Graduate Schools” in the country today. For the eighth year in a row, the W. P. Carey School of Business at Arizona State University ranks among the nation’s Top 30 full-time MBA programs. On the new rankings lists, the W. P. Carey School ranks No. 30 for full-time MBA programs, the best ranking for any Arizona school. The program is among the three smallest in the entire Top 30, offering a more personal feel. The out-of-state tuition rate is among the three least expensive in the Top 30. On the part-time MBA programs list, the W. P. Carey School’s evening MBA program ranks No. 27, again the best ranking for any Arizona school. On the “Specialties” lists, the renowned supply chain management program ranks both No. 3 in the supply chain/logistics field and No. 17 for production/operations. The information systems program ranks No. 12 in its category. The school also ranks No. 22 for entrepreneurship. The new rankings are largely based on the positive reputation of schools among corporate recruiters -- who offer students jobs -- and among top administrators from peer business schools in the know. The publication also considers statistics that measure the quality of a school’s students and employment outcomes. Earlier this year, U.S. News & World Report ranked the school’s online graduate business programs No. 3 in the country and its online MBA program No. 4 nationwide. U.S. News & World Report ranks the school’s undergraduate business program No. 29 in the nation and the doctoral program in economics No. 36 in its category. Britain’s Financial Times ranks the school’s China-based executive MBA program No. 29 worldwide. The University of Texas at Dallas ranks the W. P. Carey School Top 25 in the world for business-school research productivity. The Center for World-Class Universities at Shanghai Jiao Tong University ranks the W. P. Carey School No. 22 globally for economics/business. W. P. CAREY SCHOOL OF BUSINESS The W. P. Carey School of Business at Arizona State University is one of the top-ranked and largest business schools in the United States. The school is internationally regarded for its research productivity and its distinguished faculty members, including a Nobel Prize winner. Students come from about 100 countries and include about 50 National Merit Scholars. For more information, please visit wpcarey.asu.edu and http://research.wpcarey.asu.edu.